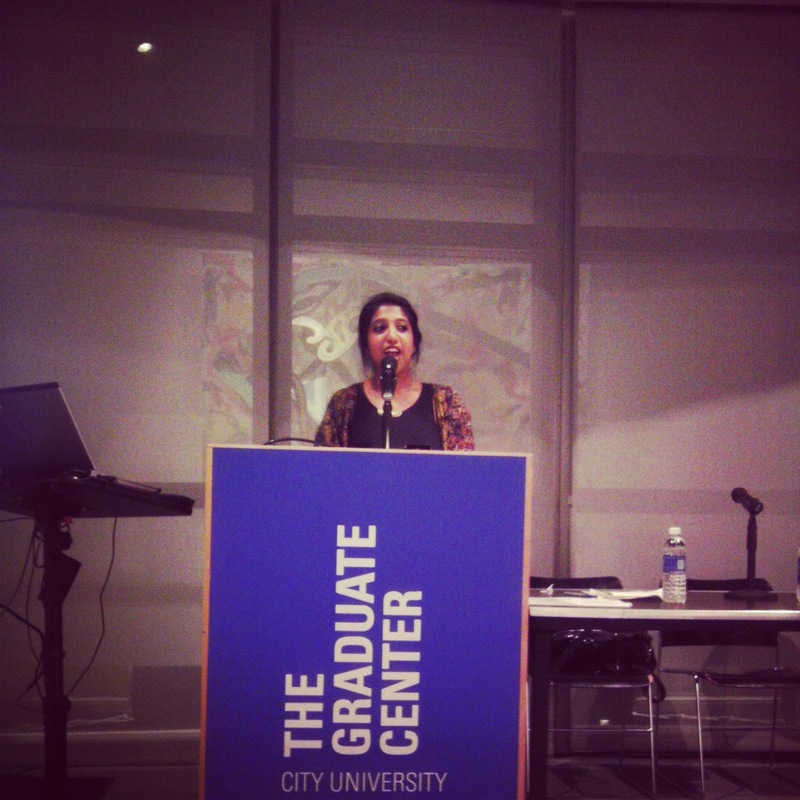 Malalai Joya spoke at CUNY’s Graduate center on October 4th about the impact that 12 years—some say more—of U.S. presence in Afghanistan has had in that country. Joya was joined by Sharmin Hossain, a student activist at CUNY,who is organizing to get CIA war-criminal David Petraeus out of the school where he is currently teaching a course. Malalai Joya was a member of the Afghan parliament. warlords backed by US political power. Many things can be said about the discussion and how both of these issues are connected. The "War on Terror" has spawned a lot of hate that allows for U.S. intervention and for the general public to support CUNY's choice in inviting Petraeus to teach an honors class at the school. Joya spoke of her experience in parliament, of the dangers of being a woman in Afghanistan, and of the U.S. funding of warlords. She showed some pictures of young girls (as young as 4) who had been raped and killed, their murderers still free. Joya also called for the need to allow the people from Afghanistan to liberate themselves. The U.S. cannot save someone else she said—and indeed "saving" the people of Afghanistan is not the goal of the military presence in that country. Like in many other places, the "War on Terror" and national security are only an excuse for the use drones, Guantanamo Bay, military intervention in the Middle East, FBI spying on Muslims in New York City, and many more violations of human rights. All of these issues can be tied to an even bigger problem of criminalization of people of color. We have the largest prison population in the world. This population is comprised mostly of African Americans and people who committed non-violent, drug-related crimes. 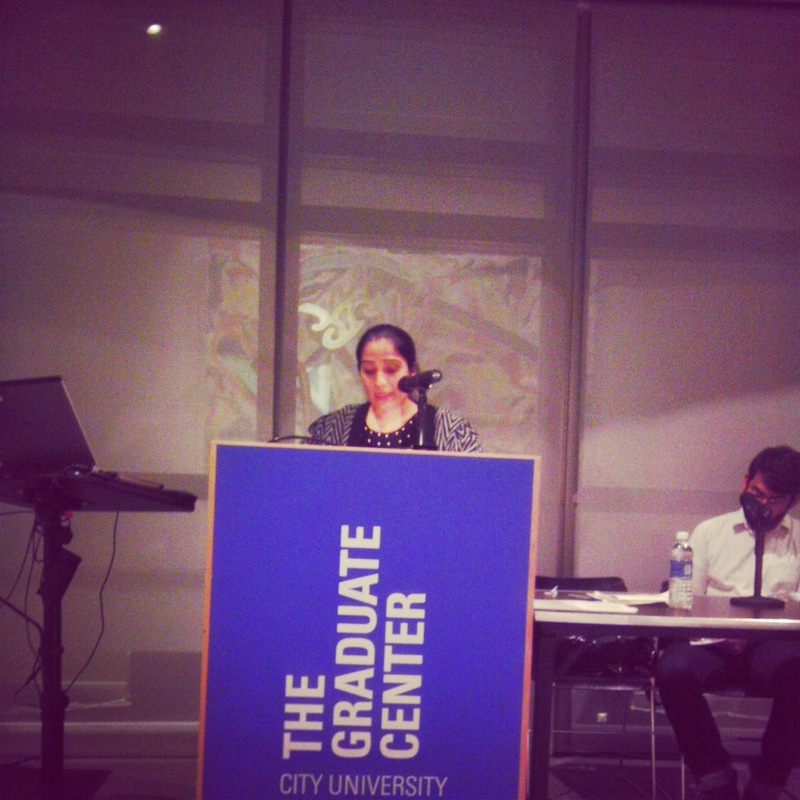 CUNY, as Hossain pointed out, has been heavily policing its campus, and allowing Petraeus to teach a class only normalizes the militarization of our schools and of our streets. to oust David Petraeus out of CUNY. To that we may add the criminalization of immigrants who are constantly under the threat of deportation. 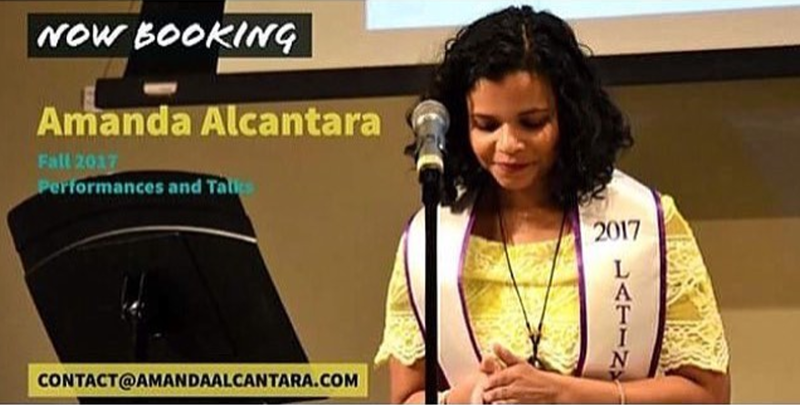 As a first-generation Latina from the Dominican Republic, although I was born here, I still don't feel that I rightfully belong here. Almost as if I was criminalizing myself. Yet when one reads about the history of U.S. intervention in Latin America, one realizes that corporations are the ones to blame for the desperate need that pushes families to come North. It's a terrible cycle: U.S. corporations interfere with the sovereignty of other nations by essentially stealing resources using "free commerce" as an excuse, which results in corrupt third world governmental systems that disengage politicians from the needs of the population. The NSA spying on the Organization of American States (OAS) is no surprise. And what happens when you make people poor by taking their resources away? They come to the one place that symbolizes a beacon of hope: America. In the midst of all these violations committed by the American government, the public says nothing. There was an outcry over Trayvon Martin's death, but except for the occasional attention that George Zimmerman gets, that seems to have died down. And so our hands feel tied. To continue fighting, and to feel that our voices are actually heard is difficult in times when even small victories are cut short—like Herman Wallace who was finally released so that he may spend his final days with loved ones, and still he was re-indicted by a county prosecutor (!). Malalai Joya's meeting was intense despite the small turnout. Although she was tired from days of no sleep after a long flight, she was still available to speak, sign books, and spread her anger among those of us who were present. This raises the question, how does someone like her find the strength to keep fighting when there seem to be no victories? How do we, the activists who everybody hates, keep fighting when it seems like we're so few and so weak among so many uncaring people? Wow. Saying that love is the answer is so cheesy. I wish I had a better response but as a young revolutionary who is just learning the ropes, love is the main thing that guides me. I noticed it today. My coworker told me that it's Thanksgiving in Canada, and for some reason we both laughed. I responded "Well, they have healthcare to be thankful for, but we have a government who's taking a break just to get away with not giving people the American version of healthcare". His reply was that he has a lot to be thankful for. He said that at least he's not enslaved, in prison, or sick. In that moment, after hearing his answer I realized that although I'm grateful because I too am not in prison or sick, or arguably not enslaved, I am not actually okay. And that is because someone somewhere is hurting as a result of capitalism. The only way in which I can express my gratitude for the things that I have is by standing in solidarity with those who can’t fight back. I guess solidarity is a synonym of love. The neoliberal ideology of "survival of the fittest" leads people away from love and into a place of selfishness and, essentially, a loss of their own humanity. That’s why our earth is far away from being a paradise. One time, when I was probably around 11 years old, I was walking down a busy street in Santiago de los Caballeros, Dominican Republic with my mother when we saw a Haitian man being dragged by the arm by several men. He was sweaty, scared, and clearly trying to run away. If I recall correctly, I believe that he was wearing no shoes and his chest was showing. I asked my mother what was happening, and she replied nonchalantly "oh, he probably tried to steal something". Then she added that those men were probably going to beat him up. She said this as if it was nothing! As if it meant nothing. And no one in that busy street seemed to care either. This is what the system does to people: it strips them of their humanity and of their ability to love. Because of the racism against Haitians and negritude tied to global anti-blackness which Dominicans are victims of as well--a racism that is a symptom of white supremacy, a racism that many Dominicans are fighting against--the Dominicans in that street viewed that man as less than human. Although my memory of that moment is faint, my emotions aren't. I do recall feeling sad, and I do remember thinking of that man for several days. But no adults were around to tell me that my confusion was completely understandable because that man's rights were being violated. Children are too young to be deeply corrupted by the underlying racist ideologies of the capitalism system. Adults aren’t always safe of this corruption. In moments when we are unable to stand up for what's right, our humanity is violated. And it is violated mainly because we are stripped away from our power to love. White supremacy has taught him that all people of color are threats irrespective of their behavior. Capitalism has taught him that, at all costs, his property can and must be protected. Patriarchy has taught him that his masculinity has to be proved by the willingness to conquer fear through aggression; that it would be unmanly to ask questions before taking action. Mass media then brings us the news of this in a newspeak manner that sounds almost jocular and celebratory, as though no tragedy has happened, as though the sacrifice of a young life was necessary to uphold property values and white patriarchal honor. Viewers are encouraged feel sympathy for the white male home owner who made a mistake. The fact that this mistake led to the violent death of an innocent young man does not register; the narrative is worded in a manner that encourages viewers to identify with the one who made the mistake by doing what we are led to feel we might all do to “protect our property at all costs from any sense of perceived threat. " This is what the worship of death looks like. Indeed, those of us willing to fight for a better future for society are simply fighting for love. And love is within every human being. One of the tasks of each activist is to pretty much wake the people up and unmask the loving human being beneath each person. If love guides us, then we'll never stop fighting. Just like Malalai Joya keeps fighting. Just like Sharmin Hossain keeps fighting. Just like Herman Wallace fought till the end. I SAID, THE LOUDER MY VOICE THE DEEPER THEY BURY ME! Free all political prisoners, prisoners of war, prisoner of consciousness." May Herman Wallace rest in power. His voice indeed remains loud. You gave many strong examples here. Especially your experience as a young child. It takes a lot of courage to love and even more to express it. A great shift needs to happen from ruling by fear to ruling with love in order to eradicate violence and inequality. At least we have the courage to do so. Keep writing and using your voice. That is your power. Google celebrates Celia Cruz! Uepa!